Harris-Stowe State College is a four-year, state-supported, coed, teachers’ college. Established b…. Harris-Stowe State College is a four-year, state-supported, coed, teachers’ college. Established by the public school system of St. Louis in 1857, Harris Teacher’s College was for white students only. In 1890, the public school system established the Sumner Normal School, an extension of Sumner High School, for the education of black teachers of elementary schools. In 1924, Sumner became a four-year degree-granting college and five years later changed the institution’s name to Stowe Teacher’s College, in honor of abolitionist and novelist Harriet Beecher Stowe. The current Harris-Stowe State College was created by the St. Louis Board of Education when it merged Harris Teacher’s College and Stowe Teacher’s College in 1954. The merger of the two teaching colleges was one of the first steps taken by the board of education to integrate the St. Louis public school system. 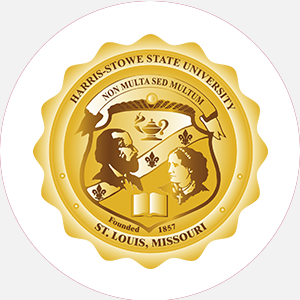 In 1979, Harris-Stowe became a part of the Missouri state system of public higher education. Harris-Stowe State College is an urban college exclusively dedicated to educating students to become teachers and education specialists. The College was approved for its unique Bachelor of Science degree in urban education in 1981. All programs at Harris-Stowe are devoted to professional education development. Harris-Stowe is accredited by the North Central Association of Colleges and Schools to award the Bachelor of Science degree. ACT (minimum 20) or SAT equivalent required Graduation from an accredited high school (or equivalent) with a minimum of 14 units, to include 4 English (2 composition), 3 mathematics (1 algebra), 2 science (1 laboratory experience), 2 social studies; the remaining 3 units must be in foreign language or any of the four areas previously cited. Students must submit an official transcript. No application fee required. Admission Application Deadline: July (fall priority) Admission Contact: Director of Admissions and Advisement, Harris-Stowe State College, St. Louis, Missouri 63103; Telephone: 314-340-3300; 314-340-3555 (fax). A minimum of 128 semester hours and completion of the core requirements, to include 9 credit hours in humanities, 9 credit hours in communication skills, 9 credit hours in social and behavioral science, 10 credit hours in physical and biological science, 3 credit hours in mathematics; a minimum 2.5 cumulative GPA is required. The last 30 semester hours of study must be at Harris-Stowe. Campus Services: Career planning and placement; personal guidance and counseling; and testing services for ACT, CAT (California Achievement Test), C-BASE (College Basic Academic Subjects Examination), and the NTE. Campus Activities: Social and cultural activities include theater and chorale. Students look forward to annual homecoming events and Afro-American history month. Students may work on the Hornets Nest (student newspaper), the Torch (yearbook), or the Fringe Benefit (student art/literature magazine). Leadership opportunities are found in the Student Government Association and numerous other student-run organizations such as Student Ambassadors, Student Association Council for Exceptional Children, Ecology Club, and Student-MSTA (Missouri State Teachers Association).